This is the story of the Durrells, an eccentric and a little crazy family lived in Corfu from 1936 to 1939 and not the TV series. India in the first quarter of the 20th century (1858 – 1947) was ruled by the British Crown, it was known as British Raj, so there were many British military and government officials there. Laurence Durrel was an army engineer born in India, He met with Louisa Florence Dixie, they got married and made four children, Laurence, Leslie, Margaret known as Margo and Gerald known as Jerry. Laurence Durrel father died young at age 44 in 1928 due to ‎cerebral haemorrhage, after the unexpected loss of their father, the family had to move to England and specifically to Bournemouth where her mother, Louise, tried to organize her life with her small pension. There, the four-year-old Gerald was sent to school for his basic education, but it was difficult for the unpalatable character of the little one who enjoyed freedom and his engagement with animals and nature. It was a very difficult time for young Jerry who could not adapt to the stifling environment of an English school, as he himself confessed several years later in his autobiography. 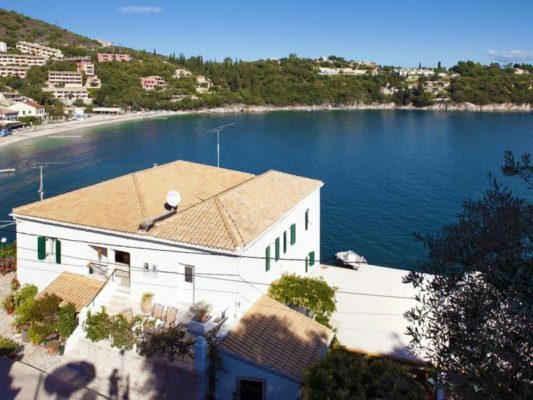 In 1935, the older brother Lawrence marries and along with his wife Nancy moved to Corfu, they lived in a house in Kontokali, north of the town, in Villa Anemogianni. 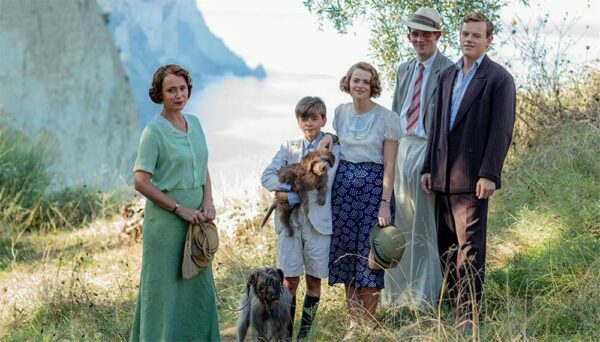 Louisa Durrell, after six difficult years, decides to overcome, gathers her three children (Leslie, Margaret and Gerald) and in 1935 they arrive in Corfu. 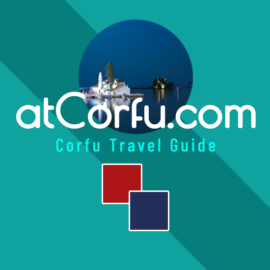 Inter-War Corfu was a poor island, without electricity but at a very cheap cost of living compared of the cost in England, here they could live a little more primitively but more freely and in direct connection with nature and the animals that little Jerry loved. In Corfu there were and still living a lot of English people, Louisa met one of them, Mr Biller, who has undertaken to help her find a suitable home for the family. But Corfu in 1935 was a little more primitive than Mrs Durrel expected, and this is illustrated by the following funny event. Mr. Biller prepared a list of about 10 houses and started with Mrs Durrell to check them to find the best one. But in every house they visited, Mrs. Durrell nodded her head, she could not find anything to satisfy her. After arriving at the last, and once again Mrs. Darrell was not satisfied, Mr. Billler sits down on the stairs and wipes the sweat with his handkerchief, asks Mrs. Durrell. -And finally, Mrs. Durrell, can you tell me what exactly are you looking for and why did not you like any of what we saw? – None of them had a normal bath, she replied, that’s the problem. – And what do you need the bathroom for?, replied the surprised Mr. Biller, when you have the sea at your feet! 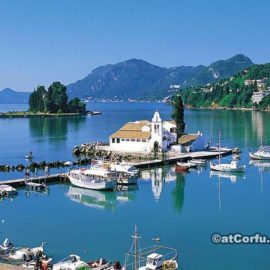 This was Corfu at that time, only the rich families had a toilet, while in the most houses there was none, the people for their natural needs used to ran to the fields and the sea, and the few rubbish were buried in the fields and the yards to became fertilizer. 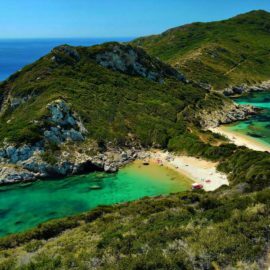 After some more efforts, they finally found a hut belonging to a fishing family in Kalami, a small bay in the northeastern part of the island, far from the town of Corfu. 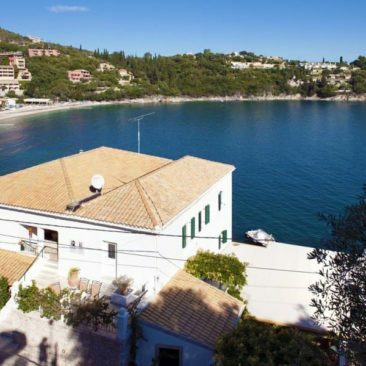 Cottage was repaired to become home, a house known to date with the name: the white house, is located near the southern part of the bay overlooking the whole of Kalami. 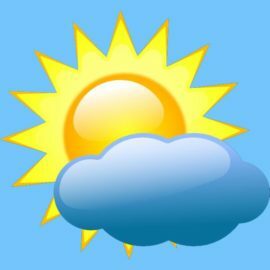 The house was turned by young Jerry in to a zoo, where he had gathered all wildlife of Corfu, as turtles, waterfalls, seagulls, lizards, dogs, cats, donkeys, and whatever animal exists in Corfu, he also collected insects in boxes, a chaotic house where birds were flying from room to room. 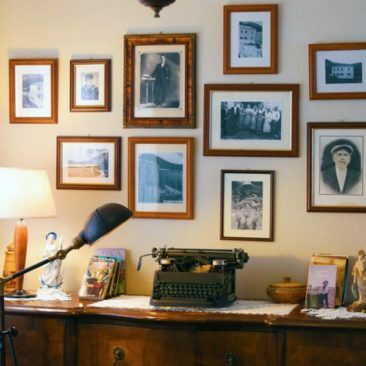 During the three years they lived on the island, the Durrells became friends with the locals and left their mark in the memories of the older ones who met and still alive today. 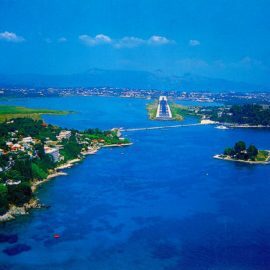 They loved the island and were loved by the locals, and they wrote books about Corfu which considered as their paradise. 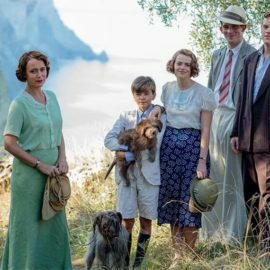 Much of what we know today about the Durrells in Corfu are based on the narratives of those old residents who still alive, but mainly on the books left by the family members. 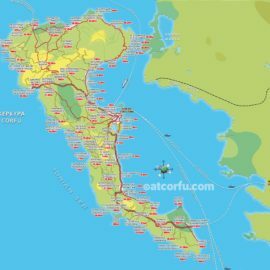 Gerald’s records of Corfu’s fauna are very important, he has recorded almost all the species of animals, birds and insects on the island in his book “My Family and Other Animals,”. 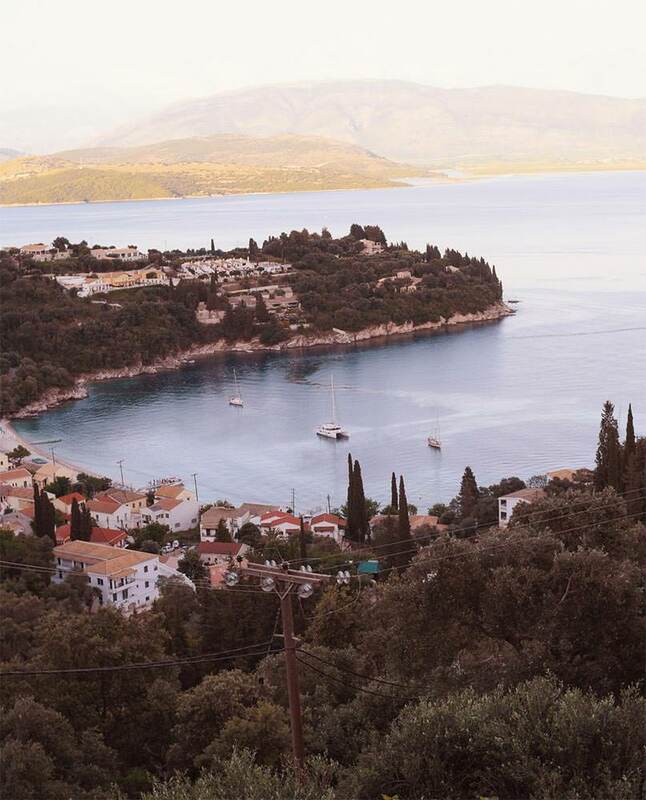 He explored the island and made its observations with the help of a friend of the family, the local doctor, naturalist and philosopher Theodoros Stefanidis. 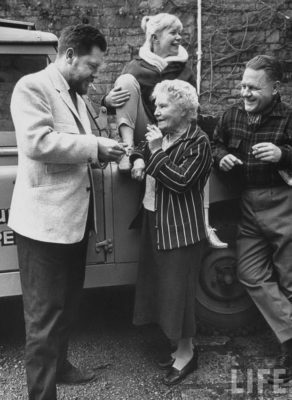 Stephanidis is the one who cultivated Jerry’s inborn talent and love for the animals and helped him later develop into a great naturalist and reformer of zoos. 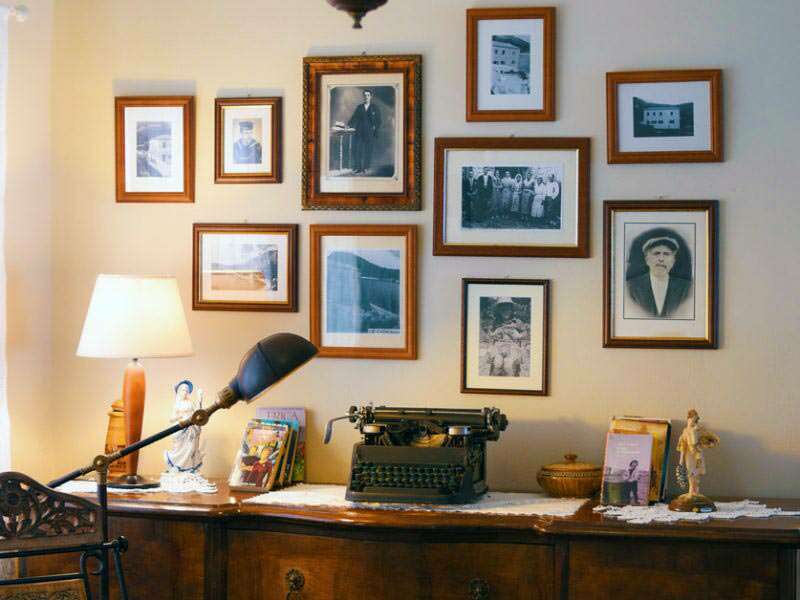 The whole family were skillful writers, in their writings we read all the incidents and personal experiences they had during their stay on the island that became also sources of inspiration for the TV series. 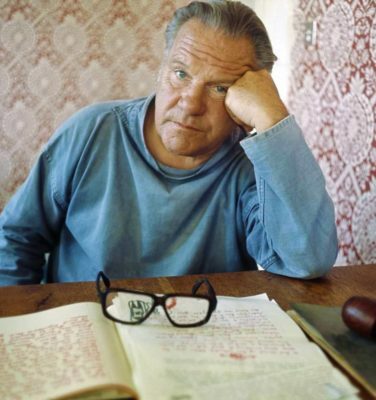 Also noteworthy is the “Prospero’s Cell” written by the older brother Lawrence. 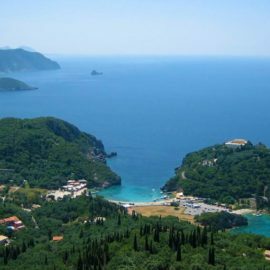 This eccentric family loved Corfu and wrote about this island, and Margarita later revealed that she always considered Corfu as her real home. 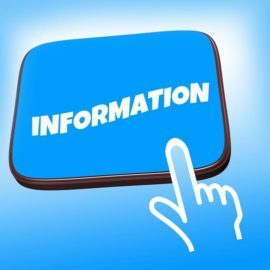 There are, of course, many unknown aspects of Darrel’s life on the island, for example, it is not widely known that the family stayed in other parts of the island too and not only in Kontokali. 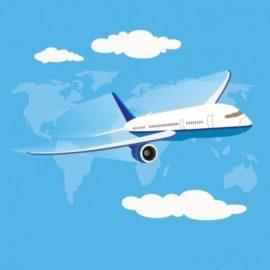 In fact, they stayed for a long period in a house in Perama near Agia Kyriaki area, from where they had easy access to the Halikiopoulos lagoon which at that time was a rich wetland since the airport had not yet been there. But the war is always overturning plans and change everything. The outbreak of World War II, forced Louisa, Leslie, Gerald, and their young Corfiot maid Maria Kontos to leave Corfu, mainly for safety reasons, and return to Bournemouth, England. However the big brother Lawrence remained in Corfu along with his wife Nancy until the occupation of Greece by the Axis forces, then they managed to escape in Egypt. 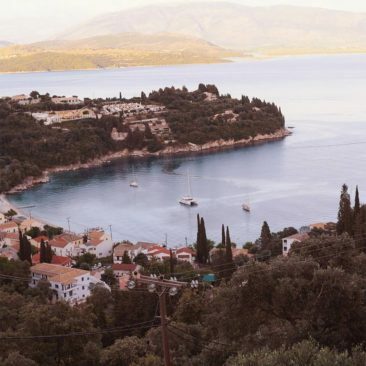 Margo remained in Corfu and she stayed in a house of some friends. She met a RAF pilot who was stationed here, his name was Jack Breeze who later became her husband. Louisa Florence Durrell, born Louisa Florence Dixie(1886-1964), The mother, after the adventure in Corfu she settles at Bournemouth until the end of her life in 1964, she lived with her daughter Margo. Lawrence Durrell (1912-1990), The older brother was a smart man with a restless character, became a diplomat and a great writer, his books had tremendous success, he traveled all over the world and stayed in many places, he also married 4 times. he died in Sommières, France in 1990. Leslie Durrell (1918-1983), The second oldest brother and the least known member of the family, during his later life, had a great interest in weapons, hunting and sailing, as well as painting, he did several business efforts, one of which was to organize a farm in Kenya, but all attempts were unsuccessful, he had a son with family`s Corfiot maid Maria Kontos who followed him to England. Margaret Durrell (1920-2007), Known as Margo. She met a RAF pilot in Corfu just before the arrival of axis occupying forces, they fled to South Africa and got married, they stay there until the end of the war, then they moved to Bournemouth where they had two children and then divorced. After the divorce she spent the rest of her life in Bournemouth, where she rises alone her two children, until her death in 2007, she was also a writer and in 1950 she wrote the book “What Happened to Margo?” with memories from her experience in Corfu, the book was published 40 years later, at 1995. Margaret or Margo was very dear, kind, and she was very interested in fashion and design, very independent and dynamic character. 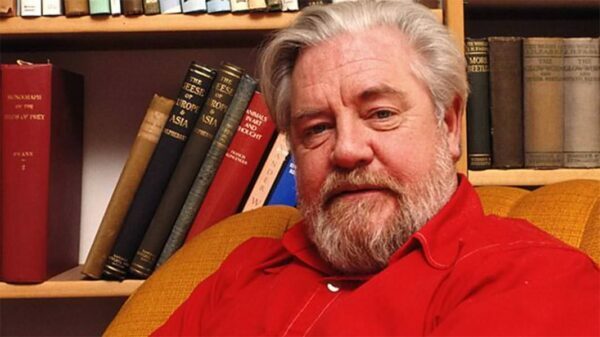 Gerald Durrell (1925-1995), The younger brother became very successful, was a popular naturalist, economist, TV presenter, and writer, and his work redefined the role and pattern of the modern zoo. 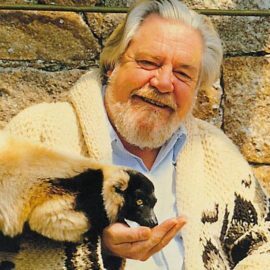 Finally he founded the Durrell Wildlife Conservation Trust in Jersey, now directed by his last wife, Lee McGeorge Durrell. Durrells during their time in Corfu used three houses, today these houses are private, but the house they lived in Kalami is open to visitors as today it is apartments and underneath the house, there is a restaurant called white house is well. 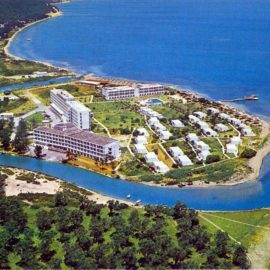 The “Village” next to Danilia village, close to Kontokali and behind today`s Corfu hospital, is not the revival of an existing village as wrongly some people believe. 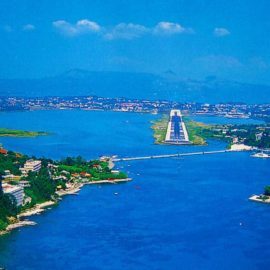 It was a successful attempt of two businessmen, the Bouas brothers, which decided at 1980 to create from scratch something that will look like an old typical Corfiot village, to use it as a tourist attraction for their businesses at the 80s. And, indeed, during the 80s all tour operators organized daily excursions to this medieval and Venetian style “village” with thousands of tourists visiting the place. Among the other sight-seen there, was an open outside restaurant with live music, many “shops” selling souvenirs to visitors, some museums with objects of folk art, and a large building housed the winter restaurant. 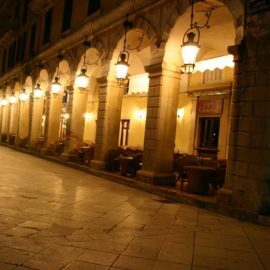 In this “village” also you can see that the main street is a replica of a part of Nikiforos Theotokis street in…Corfu town, and some other copies of other characteristic shops or scenes used to give a Venetian color and atmosphere. So, it is a replica of an alleged village as it would be in 1930, the “Village” at Danilia never existed as a real village, it`s only business! Today this “Village” is owned by Grecotel Hotels & Resorts, a large hotelier group and is used for weddings happened among Grecotel Hotels & Resorts costumers. 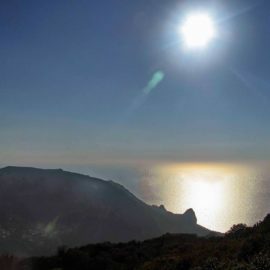 Also, it was used as the filming place for many scenes of the Durrells TV series, this series has been going on for three years and includes 6-8 episodes per year. The TV series has been judged to be very successful in England and will continue for another year, next (and last) episodes are already filmed and will be showing on TV during 2019, Last scenes were filmed in Corfu! 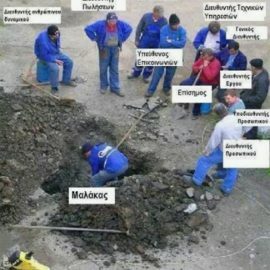 In the “village”, in the white house in Kalami, in Villa Gerakari in Gerekos island, and elsewhere needed on the island.